Prominent & Leading Service Provider from Gurgaon, we offer power plant maintenance services and dg operation and power maintenance services. 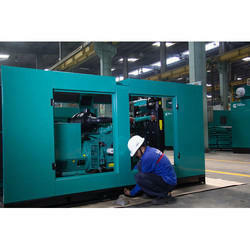 To furnish the diverse requirements of clients, we are engaged in offering Power Plant Maintenance Services. These services are rendered by the experienced professionals as per set quality norms. Offered array of maintenance services is rendered as per client need by using high-quality inputs. Backed with years of experience in this domain, we offer the large collection of DG Operation And Power Maintenance Services. The offered services provide an optimum solution to our precious clients as per their needs. In addition to this, offered maintenance services are appreciated due to their reasonable prices, and perfect execution.